Sleeps 5. 2 Bedrooms. 1 Bathroom. 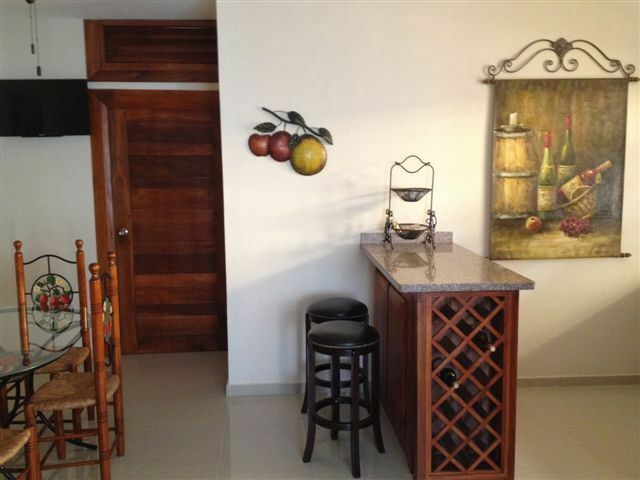 Beautiful apartment located in the best and safest area of La Vega, the perfect home to take a few days to rest and admire the country side of the Dominican Republic. La Vega is a unique place and famous for their annual carnival celebrations, 25 minutes from Santiago which is the 2nd largest city of the island, why not enjoy a drive to the road up the mountain towards Jarabacoa, you will find an area that sells the best home made 'Arepas' and several restaurants that serve the best BBQ meats., great river outings. This can also be your rest area or a great meeting point if you are in your way to do the mountain hiking of el Pico Duarte which is the highest mountain of the Caribbean or just the perfect place to visit friends and family.